Established by experienced book purveyors Kate Treloar & Nick Patrick, Adelaide's Pop-up Bookshop breaks all the rules. 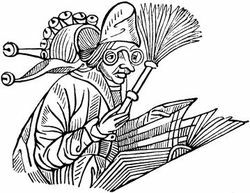 We see ourselves as crusaders for the many wonderful bookshops Adelaide - and the world - has lost. But Adelaide's Pop-up Bookshop is not traditional - we may appear in a shopfront or the street, in a cafe or a market... and occasionally we put a few things online too in case you can't get to Adelaide anytime soon. 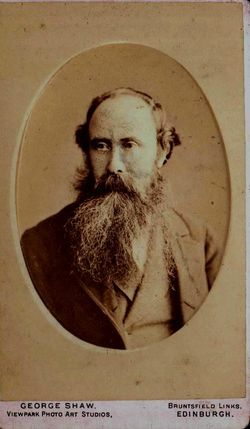 Member of ANZAAB (Australian & New Zealand Association of Antiquarian Booksellers). At this stage, I am just an individual book collector with occasional rare book items for sale. We deal in all FIction, Non Fiction and textbooks. Specializing in illustrated books, children's literature, pop-ups and fine press. Berwick Books is an affiliate of BIG Retail Group - an independent buying and advisory group for small family-owned Australian Retailer business. An avid collector over many years, I am now parting with some of my beloved books. Most of my collection is over 50 years old. My particular interests include cookery, poetry, philosophy, natural therapies, and Scottish literature. If not satisfied with the book, if not as per description (or the wrong book), all postage and full purchase price will be refunded. I'm an online bookseller finding new homes for pre-loved books. Rare and collectible books. Lots of variety and hard finds. Best book shop on the Central Coast NSW! new & old books about wine, food & the culinary arts bought & sold for chefs, home cooks, armchair cooks, gastronauts and enophiles. Member ANZAAB, ILAB and ABA. Established 1983. Specialists in Childrens and Science fiction. Three plus large rooms beautifully organised & laid out for easy access and purchase. The store is airconditioned in the "wet" & we have a large open courtyard for the "dry" season. The courtyard features, table & chairs, lounges and plants creating a wonderful ambiance for a relaxing read. The shop has ground coffee & tea facilities, bring your lunch and settle in for a relaxing afternoon break. The "Sitting Room" is accessible through the wet season which is shared with our resident book shop cat "Gorgeous". We also have the cutest dog Polly who is renowned for following you around! We stock a massive collection of second hand books all in a well cared for condition. You will see such genres as: Fiction, Parenting, Pregnancy, Babies, Music & Biographies, Dictionaries, Fantasy, High Brow, New Zealand, Classics, Westerns, Travel, Finance, Diet/Health - Food, Alternative, Religion, Self Help, Military, Australiana, Northern Territory, Indigenous, Literature, True Crime, Historical Fiction, Paranormal, Biographies - Sporting, Animals, Mariners,Adventure. There is a huge selection of Text books including: Brain/Neurology, Science, Biology, Physics, Health, Business/Leadership, Teaching, Mathematics, English, Law, Environment all sections overstocked. The Children's & Young Adult Section is overflowing with well priced titles. Science Fiction, Easy Reads, Gardening and Cooking also compliment the stores criteria. 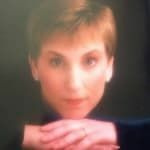 Sharon the owner and the staff are very friendly and helpful in finding those books you are seeking. The majority of our stock is not on line so please feel free to call the store and ask for any book you may be after. We also offer to find that book on line for you. Gift vouchers and Gift wrapping are available. All donations welcome. We also stock DVD's and CD's. Codon Publications publishes authoritative books in the field of life, health, and biomedical sciences. Codon Publications also provides bespoke services to biomedical researchers and health professionals. I only sell a few books now and then, so I am no expert, neither novice, any help is appreciated..
Large stock of second hand books on all subjects. Also specializing in: A Diverse Range Covering Most Categories First Editions, Signed Copies, Etc. 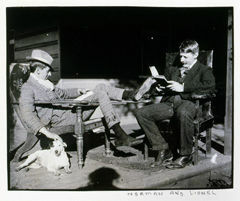 eByGum - Books, antique and reproduction images. EldoradoBooks is an online used book business operating in Albury, New South Wales (Australia) since 2000. Please contact by phone or email for all enquiries. Postage always at cost only. Scans available. We are a small business run from the heart of the Adelaide Hills in South Australia. Whilst the business is based primarily around selling through the internet, private visits are welcomed by appointment. 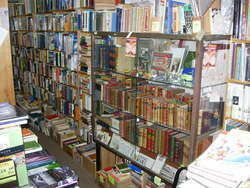 Good Reading operates from a house, which is all bookshop, and holds approximately 35,000 titles. It is open by appointment only.Benalla is a country town two and a half hours north of Melbourne on both the Hume and the Midland Highway. Gotcha By The Books is an online bookshop, working from home, in Camira, Queensland, Australia. The owner has been selling books in Brisbane since 1985, and Gotcha By The Books has been online since 2001. We specialize in Poetry, Australian Poetry, Literature, Art, Australiana, Aboriginal Australia, Rare and Antiquarian Books. We buy books on any subject (so long as we know we can re-sell them!). We are open by appointment. 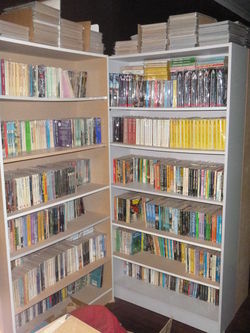 A large warehouse �providing quality fine, rare and second-hand books on the Gold Coast. Please phone 0408916778 for an appointment.�All listed books are in my warehouse. Normally your order will be picked and dispatched the same day. Selling old and rare books that encompass topics such as war, military, politics, history, philosophy, testimonials, biographies, dictionaries as well as adventure and classical literature. The collection includes books in Polish, German and English. 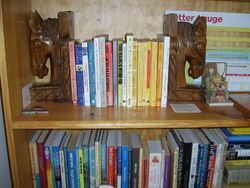 HolisticPage is an online family business book seller located in the Lake MacQuarie region of NSW and has been operating since 2003 supplying Australia with specialised books both New and used. 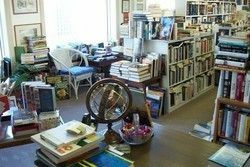 A small book business that offers only very good / fine books handpicked for their excellent subject matter or their collectable worth. Personal, specialised book dealer - mainly modern first editions. Online Colloidal Silver information site. Our store is online only. We began in 2004 and since then have shipped books extensively throughout Australia and Internationally. Our books are categorized into about 75 catagories including Australiana, Art, Agriculture, Politics, Large Print and many others. Our books vary widely in condition and we encourage customers to ensure they have read and understood the description prior to ordering. Requests for Images or extra images are encouraged. We specialise in Penguin, Puffin and Pelican books but we also have lots of books on Australiana and other interesting subjects. Most of our books have a picture of the actual book, so you can see what you are paying for! LisMel Publishing is an online bookselling and publishing business in Melbourne Australia. We sell new and second-hand books. Our aim is to give our customers exceptionable service and to provide them with quality reading at an affordable price. We passionately believe in the power of books to change and enrich people's lives. 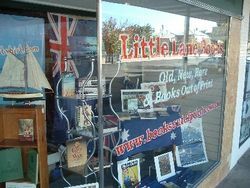 Little Lane Books is now an online only bookstore located in the beautiful wine region of Mudgee, NSW. Specialist interest areas include Gardening/Horticulture, War, Military, Australiana, Biographies and Collectible Children's Books. 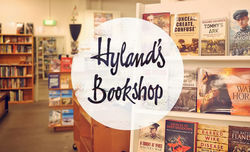 We are a online bookstore located in the beautiful Adelaide Hills in South Australia.We sell quality secondhand books, mainly non fiction. Owned and operated by Yarran L. Jenkins since 2006, Logical Unsanity began as a small press, publishing surreal writing and art journals before trading in a wide range of quality secondhand books up and down the east coast of Australia.Logical Unsanity operates an open to the public bookstore, The Book Merchant Jenkins, in West End, and a 24 hour honesty system book shed in Bardon, Brisbane.Logical Unsanity is a member of the Australian Booksellers Association & the Independent Online Booksellers Association. 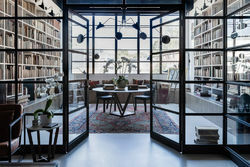 Private library with a focus on Romani works. Mary Wize Books is an Australian on-line bookstore operating from Brisbane. We are dedicated to exemplary customer service. Please email us with any questions you may have and it is also a good idea to email us for a more accurate shipping cost. Australia Post charges $35 for a standard book to be sent to the UK and between $10.40 within Queensland to $19.05 for a 1kg book to Northern Territory. Nannys Web is an Online Out-of-Print and Second Hand Childrens Bookshop, located in Caulfield South, Melbourne, Australia. Contact via email: [email protected] or phone: +61-3-9505-3050 or +61-423779268. Noosa Book Shop is located in Noosa Queensland Australia on Sunshine Beach rd and open 7 days a week.We are 36 years young and our strength is our fantastic service.We have secondhand, rare and out of print and some new books as well as Cd's Dvd's and Coffee table books.Our new website is virtual so you can search our shelves from the comfort of home and chat via our chat button direct with us.noosabookshop.comBook Detective services are available for that hard to find, out of print or rare treasure. We ship world wide and drop ship world wide. If you are having trouble finding something, give us the details you know and let us do the work. By appointment. I travel for at least 2 weeks every month so need to give advance notice, but all welcome. Aviation books, magazines, and ephemera. We specialise in rare books and pride ourselves on finding interesting material in beautiful condition to offer for sale. Our stock includes gift books and unusual items for the true collector. Dealers in quality secondhand books, operating online and at local markets. We offer recycled book titles at up to 70% off original retail prices. We have over 30,000 books in stock. Sad Paradise sells quality used, rare and out-of-print books. We are dedicated to excellence in personal service for our Australian and international customers. Sad Paradise Books is an online book shop on the shore of Corio Bay, Australia. Thoughtful selection of intriguing, unusual and excellent secondhand books. 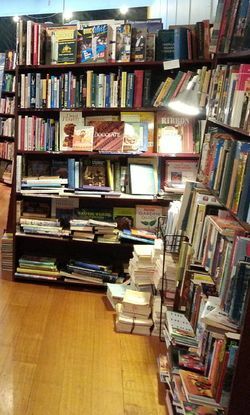 Tapsell\'s Books and Music is in Rutherglen, a small country town in North-East Victoria, Australia. The bookshop, which was established in 1993, is open 9am to 5pm seven days a week. Rutherglen is well worth a visit and is a lovely, unspoilt country town in a famous winegrowing district. Wine + books = heaven. Phone: 0435 340 526. International phone: +61 435 340 526. 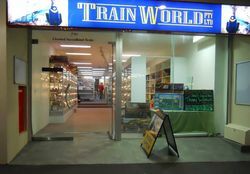 Independent bookshop & art gallery based in Brisbane, Australia. This Biblio store contains the cheaper inventory of The Book Merchant Jenkins / Logical Unsanity Books. You can pickup order and browse the rest of our inventory at The Book Merchant Jenkins, 19 Dornoch Tce, West End, Brisbane Australia. Open to the public 7 days a week, 9am to 9pm. INTERNATIONAL MAIL-ORDER BOOKSELLERS SINCE 1975. The Book Shed42 Oliver stNortham, Western Australia, 6401We specialise in scarce books from the wheatbelt. Diverse range of subject areas mostly relating to rural and country Western Australia. Private, 10 year old collection that I am looking to re-home. We have a bookshop called 'The Raven's Parlour' at 66 Murray Street, Tanunda 5352, South Australia which sells new books only. Our stock is updated monthly with the best of the latest releases from major publishers. We have a vast range of both fiction and non-fiction titles. Our books are hand picked by our knowledgeable staff, and are aimed at the discerning reader rather than the mass market readers. If we haven't got a title in stock, we will order it for you, quote beforehand if required, and phone you when it arrives. We also take orders for out of print books, which we will locate for you using our world-wide internet search facilities. We are a husband and wife online book store. Aiming to get you the best quality reasonably priced books and vintage wares. Westprint is an Australian map publishing and book distribution company specializing in Outback Australia and has been in business for over 30 years. Specialising in out of print Fiction, Australiana, Art, Music, unusual non Fiction, Mythology and any unusual subjects. We are based in beautiful Brisbane in Queensland, Australia. Our focus is on modern science fiction and fantasy.All books that we have listed on Biblio can be examined at our premises, but please let us know if you are travelling first, so that we can make sure it is still available.